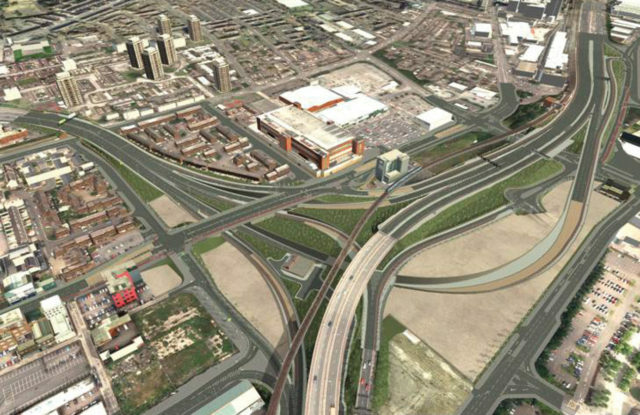 The York Street Interchange project was conceived to ease congestion at the intersection between the M1, M2 and M3 motorways to the north of Belfast city centre. agendaNi explores the current status of the scheme. Approximately 100,000 vehicles utilise the York Street Junction each day making it the busiest in Northern Ireland. This, coupled with the signalised nature of the section, means that there is a persistent and chronic bottleneck of traffic, as defined by Northern Ireland’s Regional Transport Strategy. While the movement of traffic between the M2 and the M3 is already fluid, the Interchange project intends to isolate strategic movements (between the Westlink and M2 and the Westlink and M3) from local traffic moving into and out of the city centre in order to ensure a free flow. Currently, a complex series of four signalised junctions at York Street, York Link, Nelson Street and Great George’s Street create a combined box collectively known as the York Street Junction. The volume of traffic across competing flows means that the Junction is currently operating above capacity and, as such, produces a conflict between local and strategic movements. to improve separation between strategic and local traffic. Primarily, this is to be achieved through the construction of a series of underpasses and a new bridge. The anticipated cost of the project is between £120 – £165 million. 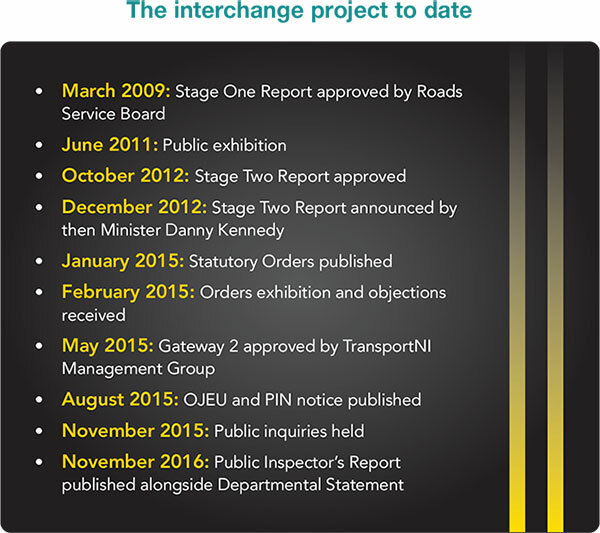 Having been described as indispensable, the Interchange proposals are heavily regarded as a project of immense importance to Northern Ireland’s economic competitiveness. 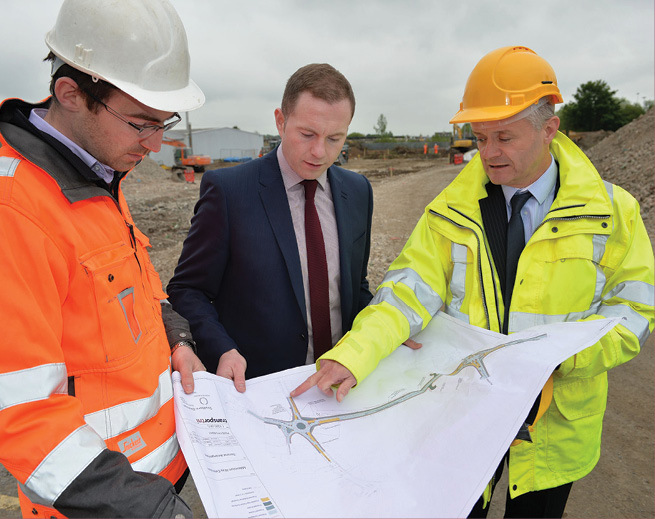 The multi-million scheme will ensure an unbroken road network of 288 miles of combined dual carriageway and motorway between Randalstown, County Antrim and Cork city, thereby connecting all major ports. Currently, the only necessary stoppage occurs at the York Street Junction traffic lights. Hazzard defended the Executive’s position of prioritising four flagship infrastructure projects and asserted: “I’m dealing with, maybe, half a century of an infrastructure deficit west of the Bann.” As well as upgrades to both the A5 and the A6, priority has been attributed to the Belfast Transport Hub and Belfast Rapid Transit. 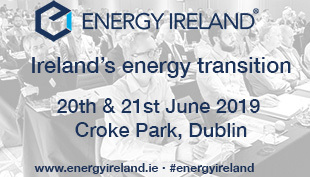 Policy Manager for the Freight Transport Association (FTA) Seamus Leheny contends: “[The York Street Interchange] connects all the major parts of the transport network for Northern Ireland.” He adds: “It connects our ports, our major motorways and obviously Belfast city. Everyone [Commercial vehicle operators], no matter if they’re based in Belfast or Omagh, consistently say that the M1, M2, M3 is the chokepoint. That is where they suffer the most congestion.” Traffic congestion is particularly costly for freight transport operators as the average cost to deploy a 44 tonne heavy goods vehicle is £1 per minute. After accepting the outcomes of the Public Inquiry, Hazzard confirmed that the project will progress “in readiness of funding becoming available”. The recommendations contained in the Inspector’s Report propose an enhancement of community engagement, greater consideration for cyclists and mitigation measures for the concerns expressed by those in neighbouring residential areas. The Department for Infrastructure subsequently published both its formal Notice of its Intention to Proceed and the project’s Designation Order. The Draft Vesting Order is set to remain until finance is secured. However, as the capital is yet to be secured a timetable for construction cannot be drawn up. As such, while the procurement process has officially been launched, the project has technically drawn to a halt.